Officials said the European Commission has drafted a tariff list of U.S. imports worth more than $22 billion, which they plan to announce Wednesday. This comes after President Trump threatened to impose massive tariffs on EU products over subsidies to aircraft maker Airbus. 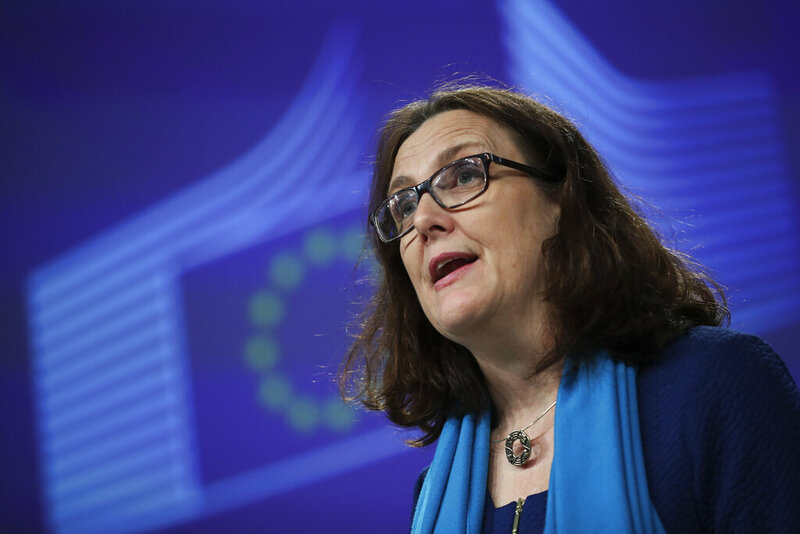 European Trade Commissioner Cecilia Malmstrom said they plan to start the negotiations with Washington as soon as possible. The removal of transatlantic tariffs is expected to expand exports between EU and the United States by more than 10-percent.